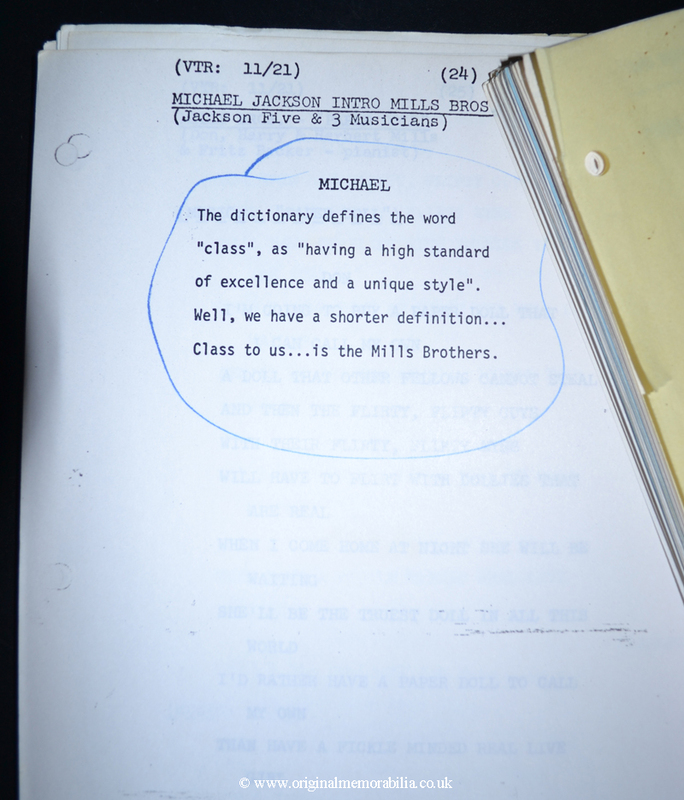 1973 Jackson 5 Script Including 'Michaels Talk A rare and substantial 106 page, 40 year old Jackson 5 owned draft script for ONE MORE TIME recorded at The Burbank Studio for CBS on the 11th August 1973. 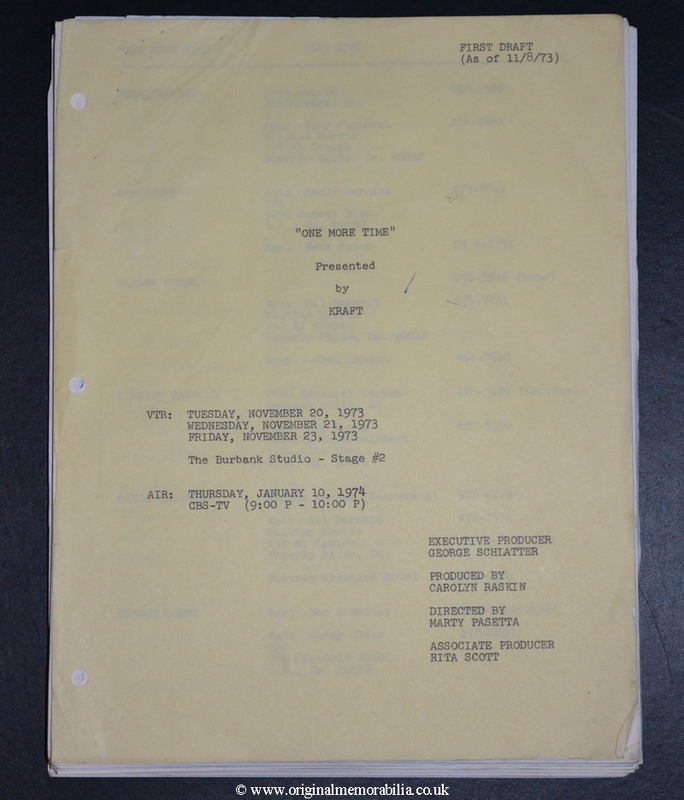 A rare and substantial 106 page, 40 year old Jackson 5 owned draft script for ONE MORE TIME recorded at The Burbank Studio for CBS on the 11th August 1973. 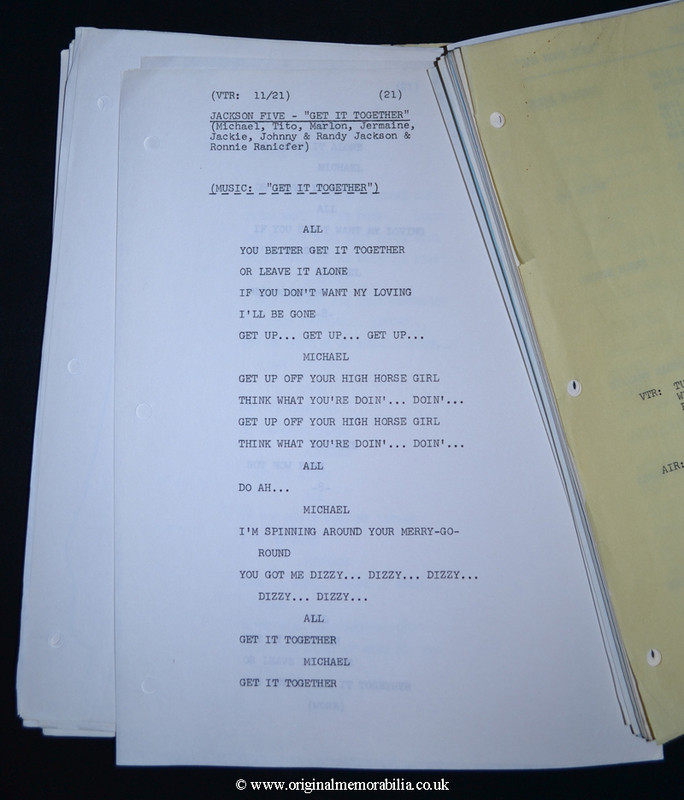 A rare and substantial 106 page, 40 year old Jackson 5 owned draft script for ONE MORE TIME recorded at The Burbank Studio for CBS on the 11th August 1973. A fascinating and historical document that provides true behind the scenes access to the entertainment industry in the 1970s. Page 40 to 49 are dedicated to the Jackson 5 and performances of Get It Together, 'Ill Be There and Never Can Say Goodbye. Page 47 includes Michaels fully scripted and full page chat with the audience where he jokes about David Cassidy and those wonderful old timers, the Osmond Brothers! On page 49 Michael then provides a glowing introduction to the next act the Mills Brothers. 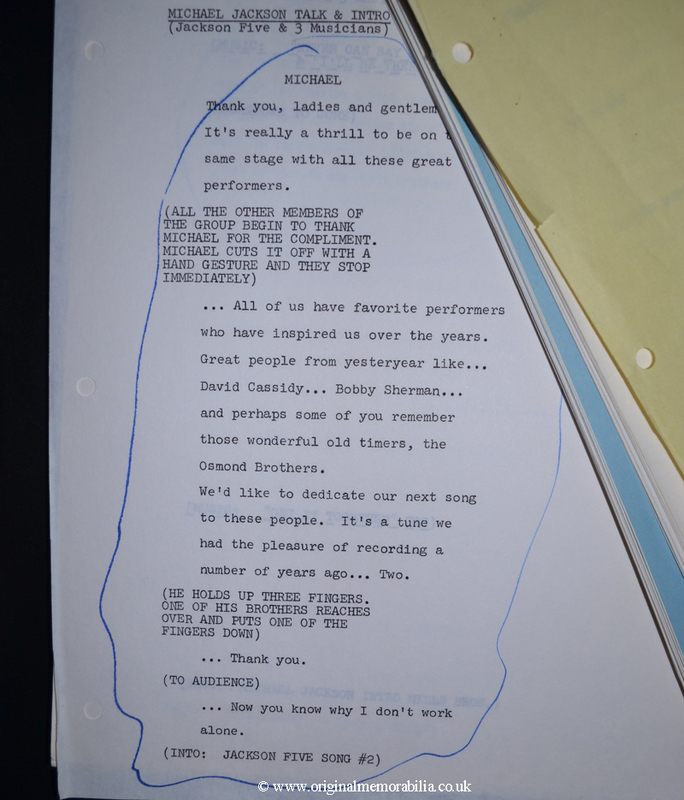 Both of Michaels scripted pages have been circled in blue ink. Other acts on the bill included Pearl Bailey, Pat Boone, George Burns, Diahann Caroll, Carol Carter, and the Pointer Sisters and this document includes full details including contact numbers for all the artists and production team. In addition to being a fine piece of Jackson 5 memorabilia, it is a compelling and entertaining document. A good condition document, with minor creases and holes punched to each lose page.